Hi- I just started continuous strand weaving also and am attempting to wet finish my piece. There is SO little available on the subject. 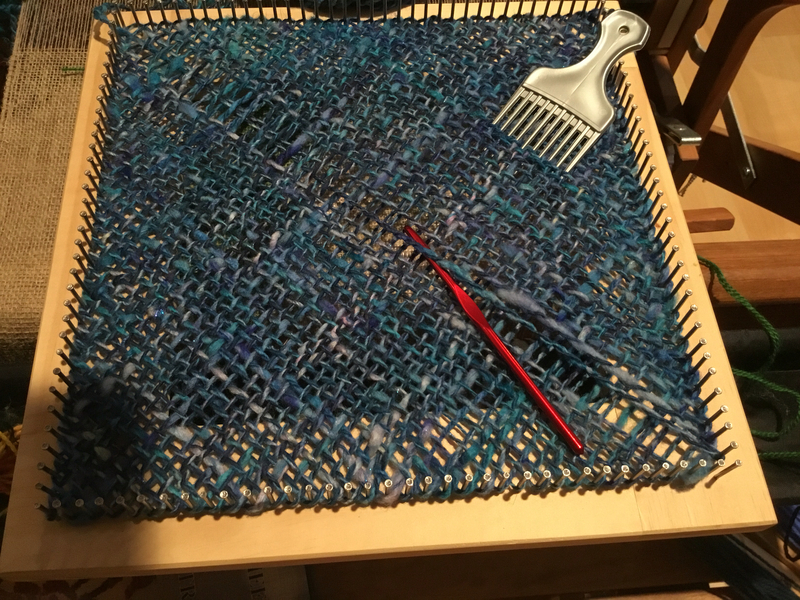 How do you set your piece to hold the weave when is it a bit more open of a weave, as your blue square piece is? thanks so much for any tips! I wash the piece in warm soapy water and because it is wool.. It just wants to stay together. I have done cotton and while it moves more than wool..it still holds well. With wool you can full it more and get a heavier piece of cloth but then it won't move at all. Just agitate it more..be careful or your piece will felt..lHave fun!